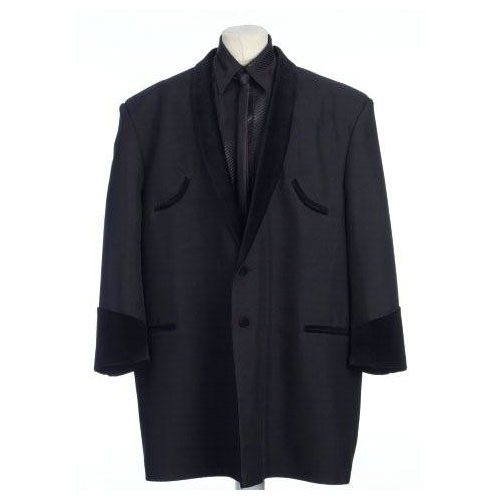 You are viewing a tailor made black drape jacket trimmed with black velvet collar and cuffs, fully lined one button fastening. We will make the jacket to order . please allow 5-6 weeks , sizes 50 upwards please contact for price.